If you are like me, I get fatigue just from looking at all the baby car seats which are sold on Amazon today. Should I buy a $100 one or a $300 one. Will this seat fit my purpose? Will this keep the baby safe? Should I get blue or a pink seat (lol)? 0-2 years old. Buy a rear-facing seat. Make sure the child’s weight is within the seat’s weight limit. Newborns can be sat two kinds of car seats: a rear-facing infant seat, or a convertible seat (which faces the rear of the car at first, and later is turned toward the front). Buying a convertible car seat saves money because it lasts through to 8 years of age, and it’s completely sound in terms of safety; the drawback is that it cannot be taken in and out of the car like an infant seat can. 2 to 4 years old AND no more than 40 pounds. Buy a forward-facing child safety seat. 4 to 8 Years OR up to 4 feet 9 inches tall. Use a belt-positioning booster seat. Always keep kids in the back seat. After age 8 AND/OR 4 feet 9 inches tall. Seat belts (without a booster seat) are OK. But your child should keep using a booster seat until adult seat belts fit properly. How can you know? Check the position of the lap belt and the shoulder belt on your child. The lap belt should be on the upper thighs — not the stomach. The shoulder belt should be on the chest — not the neck. Five-point harness. 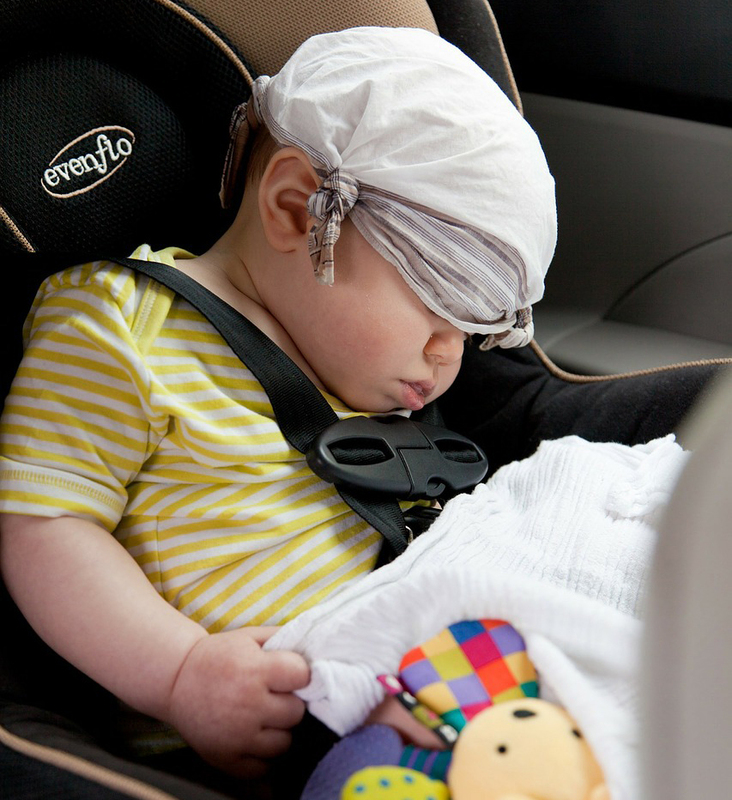 Look for a model that has a 5-point harness (two shoulder straps, two waist straps, and one strap between the legs that meet in the middle), side-impact protection (extra foam or air pads at the side of baby’s head), and compatibility with the LATCH system (a way to fasten the base tightly without using seatbelts). Ratings. Check the National Highway Traffic Safety Administration’s (NHTSA) five-star ease of use ratings system. A seat that’s earned four or five stars will have clear instructions and be easy to use. New car seat. The American Academy of Pediatrics recommends buying a new car seat – unless you know the accident history of a used car seat. The baby car seat can range from $100 to $300. You need to understand that the higher priced car seats will give a little more protection like the anti-rebound bar at the foot of the seat in case of a car crash. Other features that bump up the price include cushier fabric, accessories such as a little “boot” around baby’s feet, and a larger canopy. If the car seat meets the purpose(rear-facing, front-facing, booster seats) and safety standards then going for a one costing ~$125 would do just fine. That was quick and easy isn’t it?